Creamy. Garlicky. Cheesey. Oh my – looks decadent, doesn’t it? And it’s all yours, guilt-free, as this version of the classic garlic alfredo sauce uses no dairy, cream, butter, or even cheese. Instead, I used a combination of onion, veggie broth, almond milk, cashews, and nutritional yeast that come together in a sauce you’d swear was store bought. The trick is giving the cashews a nice long soak which helps soften them up. As my pasta was happily boiling away I sautéed a few mushrooms in a couple of tablespoons of white wine. And I didn’t even cook the tomatoes at all – just folded them into the pasta. 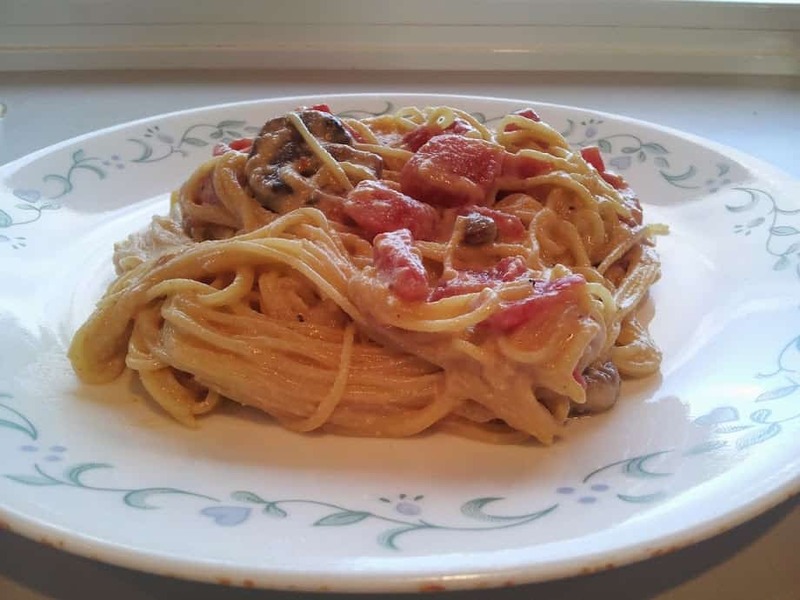 A rich, decadent Vegan Alfredo without the dairy, fat, or cheese. 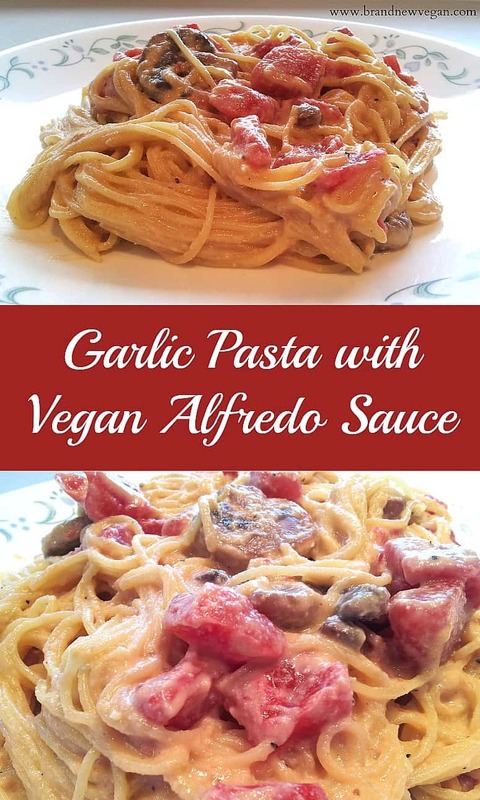 Super creamy and super delicious this healthier version will curb your Alfredo cravings for sure. 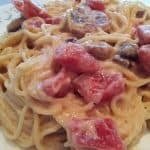 I served this sauce with Angel Hair pasta, sautéed mushrooms, and dices tomatoes. If everything else you make looks this good, I can’t wait to see what else you share! Ooo, this looks like a comfort food win! This looks lovely! I love cashew based sauces, I’m going to have to try this recipe out. Made this for dinner tonight. Really good! Any recommendations for an alternative to mushrooms? Thanks. Second time I have made this. Awesome is the only word that comes to mind. Not too complicated and omnivore husband approved.